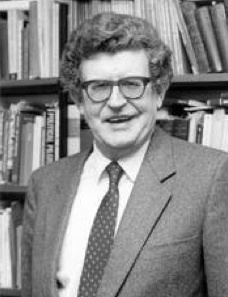 Yesterday brought the sad news of the passing of Kenneth Minogue, long time professor of politics at the London School of Economics and one of the giants of modern conservative intellectual life. At an early point I contemplated attending the LSE for graduate school to study with Minogue (and Oakeshott); fortunately I was lucky enough to meet and converse with him on two memorable occasions, once in my early 20s, and just a couple of years ago when he came through Washington. Scott wrote of him here way back in 2003; I did more recently here. He also wrote one of the better Oxford Very Short Introduction series books on politics: Politics: A Very Short Introduction. I have used it with great effect in classes for undergraduates. It is quite different—and way better—than any other introductory textbook most students have to suffer. No philosopher can contemplate this interesting situation without beginning to reflect on what it can mean. The gap between political realities and their public face is so great that the term “paradox” tends to crop up from sentence to sentence. Our rulers are theoretically “our” representatives, but they are busy turning us into the instruments of the projects they keep dreaming up. The business of governments, one might think, is to supply the framework of law within which we may pursue happiness on our own account. Instead, we are constantly being summoned to reform ourselves. Debt, intemperance, and incompetence in rearing our children are no doubt regrettable, but they are vices, and left alone, they will soon lead to the pain that corrects. Life is a better teacher of virtue than politicians, and most sensible governments in the past left moral faults to the churches. But democratic citizenship in the twenty-first century means receiving a stream of improving “messages” from politicians. Some may forgive these intrusions because they are so well intentioned. Who would defend prejudice, debt, or excessive drinking? The point, however, is that our rulers have no business telling us how to live. They are tiresome enough in their exercise of authority—they are intolerable when they mount the pulpit. Nor should we be in any doubt that nationalizing the moral life is the first step towards totalitarianism. We might perhaps be more tolerant of rulers turning preachers if they were moral giants. But what citizen looks at the government today thinking how wise and virtuous it is? Public respect for politicians has long been declining, even as the population at large has been seduced into demanding political solutions to social problems. To demand help from officials we rather despise argues for a notable lack of logic in the demos. The statesmen of eras past have been replaced by a set of barely competent social workers eager to take over the risks of our everyday life. The electorates of earlier times would have responded to politicians seeking to bribe us with such promises with derision. Today, the demos votes for them.